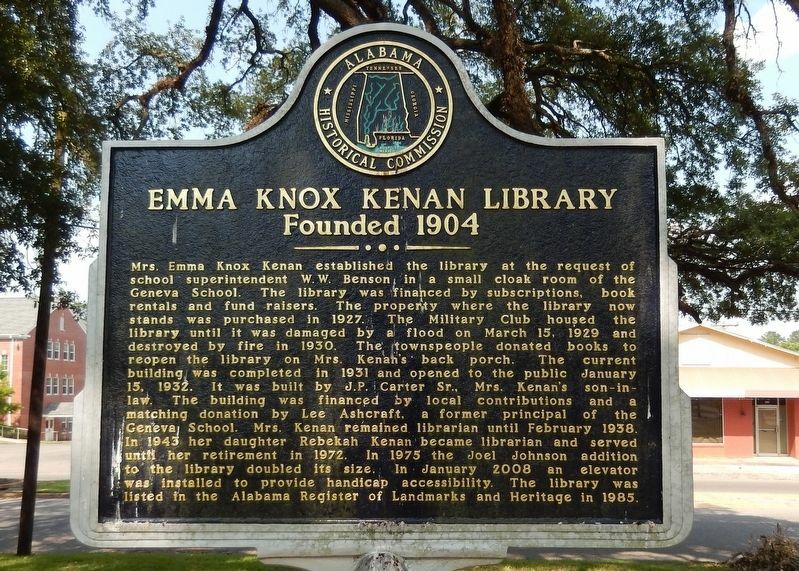 Mrs. Emma Knox Kenan established the library at the request of school superintendent W.W. Benson in a small cloak room of the Geneva School. The library was financed by subscriptions, book rentals and fund raisers. The property where the library now stands was purchased in 1927. The Military Club housed the library until it was damaged by a flood on March 15, 1929 and destroyed by fire in 1930. The townspeople donated books to reopen the library on Mrs. Kenan’s back porch. The current building was completed in 1931 and opened to the public January 15, 1932. It was built by J.P. Carter Sr., Mrs. Kenan's son-in-law. The building was financed by local contributions and a matching donation by Lee Ashcraft, a former principal of the Geneva School. Mrs. Kenan remained librarian until February 1938. 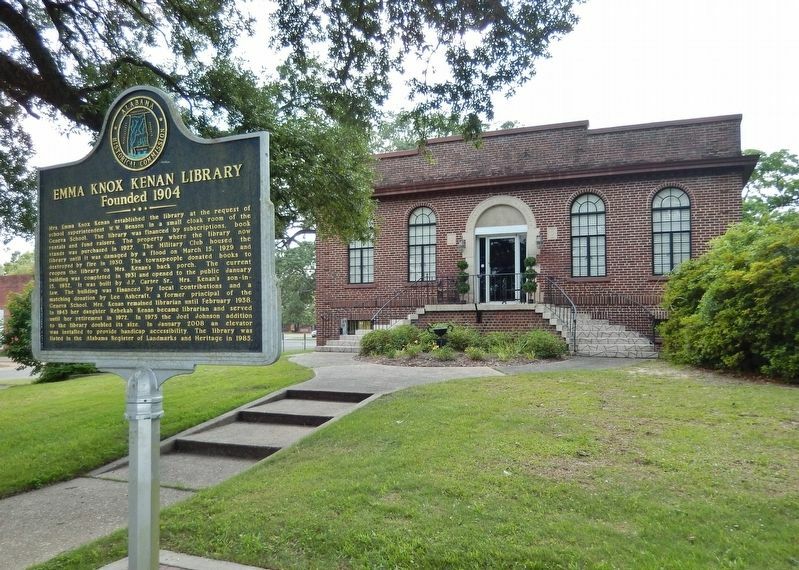 In 1943 her daughter Rebekah Kenan became librarian and served until her retirement in 1972. In 1975 the Joel Johnson addition to the library doubled its size. In January 2008 an elevator was installed to provide handicap accessibility. 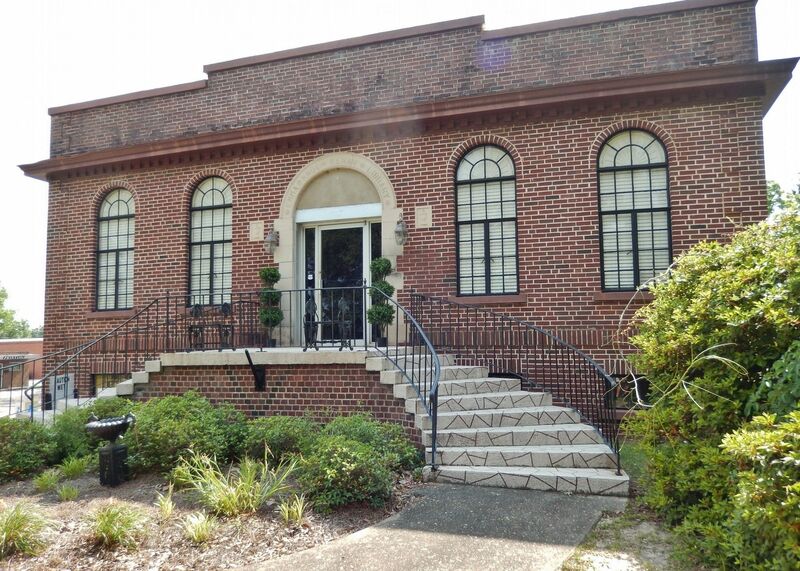 The library was listed in the Alabama Register of Landmarks and Heritage in 1985. Location. 31° 2.126′ N, 85° 51.895′ W. Marker is in Geneva, Alabama, in Geneva County. Marker is on South Commerce Street (Alabama Route 27) north of East Church Avenue, on the right when traveling south. Touch for map. 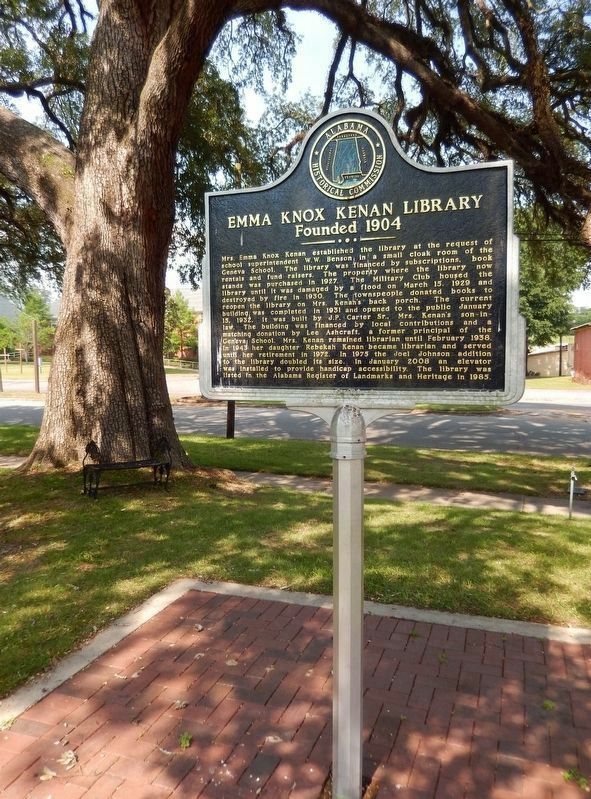 Marker is located beside the sidewalk, directly in front of the Emma Knox Kenan Public Library. Marker is at or near this postal address: 312 South Commerce Street, Geneva AL 36340, United States of America. Touch for directions. Other nearby markers. At least 7 other markers are within 18 miles of this marker, measured as the crow flies. Home Site of Laura Ingalls Wilder (approx. 6 miles away in Florida); Keith Cabin (approx. 7.2 miles away in Florida); Alford’s Mill (approx. 12 miles away in Florida); Earliest Church In Hartford (approx. 12.8 miles away); 1840's Split Log Cabin (approx. 14 miles away); Providence Baptist Church (approx. 15.9 miles away); Battle Branch (approx. 17.6 miles away). More. 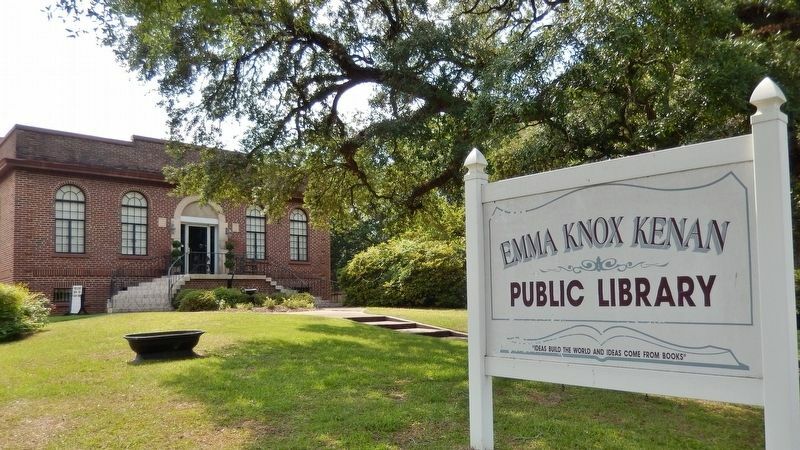 Search the internet for Emma Knox Kenan Library. Credits. This page was last revised on April 8, 2019. This page originally submitted on April 8, 2019, by Cosmos Mariner of Cape Canaveral, Florida. This page has been viewed 36 times since then. Photos: 1, 2, 3, 4, 5. submitted on April 8, 2019, by Cosmos Mariner of Cape Canaveral, Florida.